People are always asking me how I know so much about cruising and the ins and outs? I actually have my in-laws partially to thank for introducing my husband and I to Cruise Critic. The other stuff I research online. I get a bit of a rush when I find a good deal or secret way to go about something that not a lot of others have. Cruise Critic is a great way to find out about different cruise ships by itinerary, reviews, and type. One of the best tools Cruise Critic has is the "Roll Calls". Roll Calls are where you look up what date and ship you are cruising on and meet other people on your cruise. I will admit not all the roll calls are lively. I have been on quite a few duds and just let it go. I also have been on some great ones where I met wonderful people and planned some activities with them along with slot pulls and cabin crawls. In fact I am doing a third cruise in the Fall with some of my friends from the first time I ever did cruise critic! 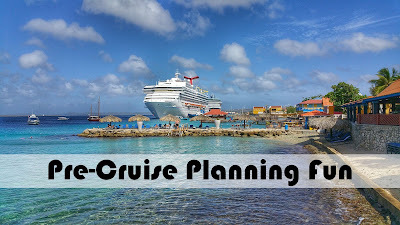 There is so much to read on cruise critic so check it out here and if you have any questions just contact me and I would be happy to discuss more with you. Some cruise lines are really into social media and some aren't. They are missing the boat if they are not being active with their social accounts. (Did you get my pun? LOL) I will say Carnival does a great job with their handles and also their head Cruise Director John Heald's blog and Facebook! If you have not read John Heald's Blog yet get ready to laugh he is very candid and hysterical! You can find John Heald's blog here. If you love cruising carnival you will love Zydacocruiser's site! He has pictures of many of the ships including rooms, activities and food. He also has photos of current menus on the ship which are nice to see as well. He also has the links to the webcams on the ships which are fun to watch and dream of your next vacation. 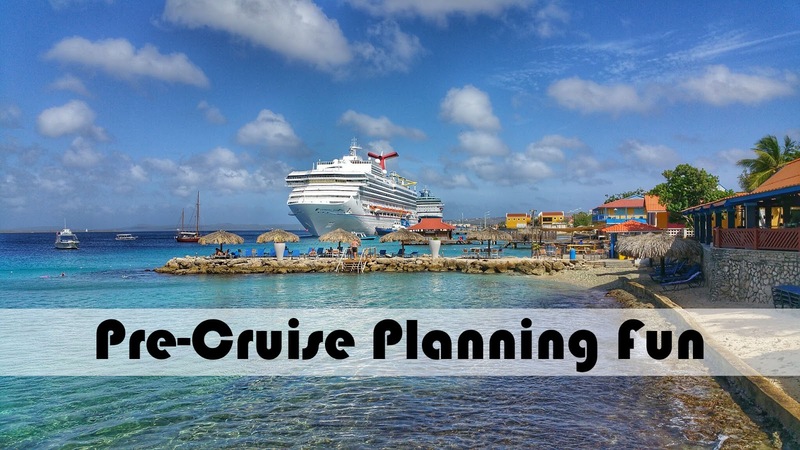 Yes, I know YouTube has a lot of useless information but when it comes to cruising there are a lot of good recommendations from how to pack, how to choose the right stateroom and what excursions are good! Well I hope this information helps all you cruise virgins or people who cruised with out knowing anything before they went. As they say "Knowledge is Power" and it definitely pays off when you know how to get ready for a cruise or any trip for that matter.